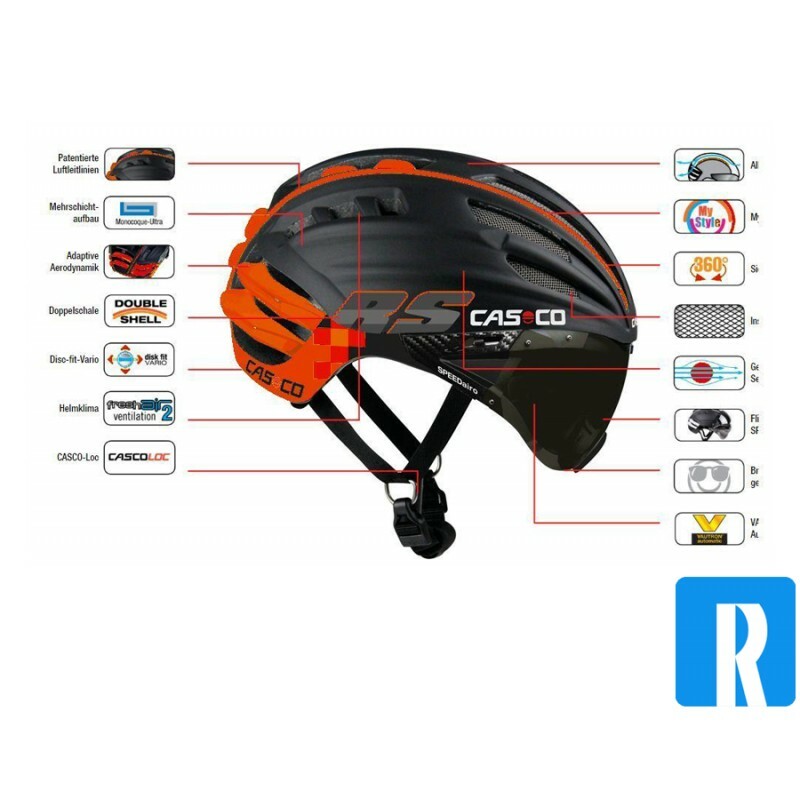 A great aerodynamic bike helmet with visor, the helmet complies with the EN 1078 safety standard. 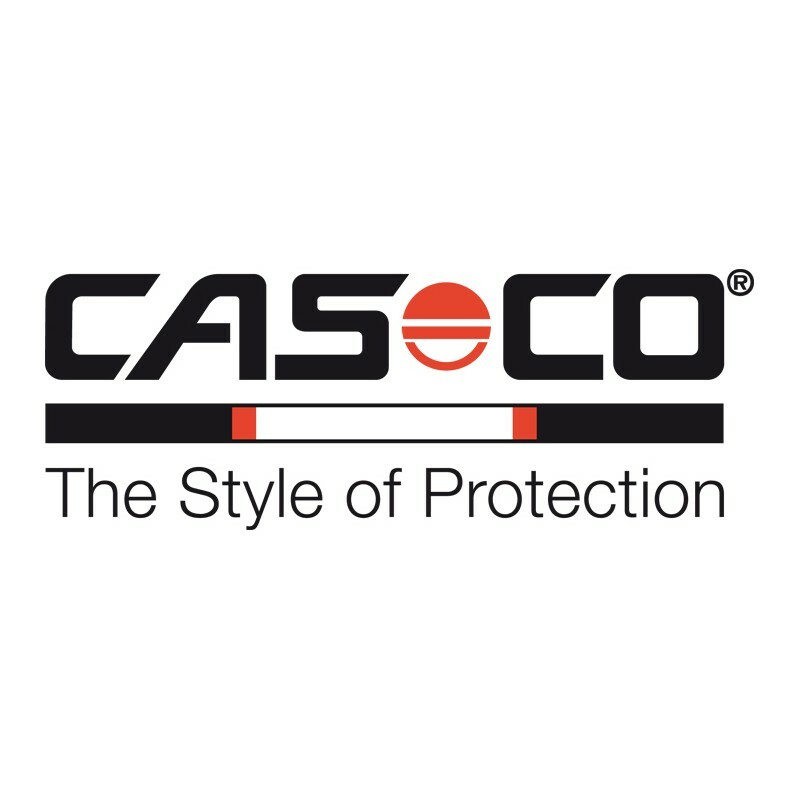 The speed gain can be achieved by patented air conduits and monocoque construction. 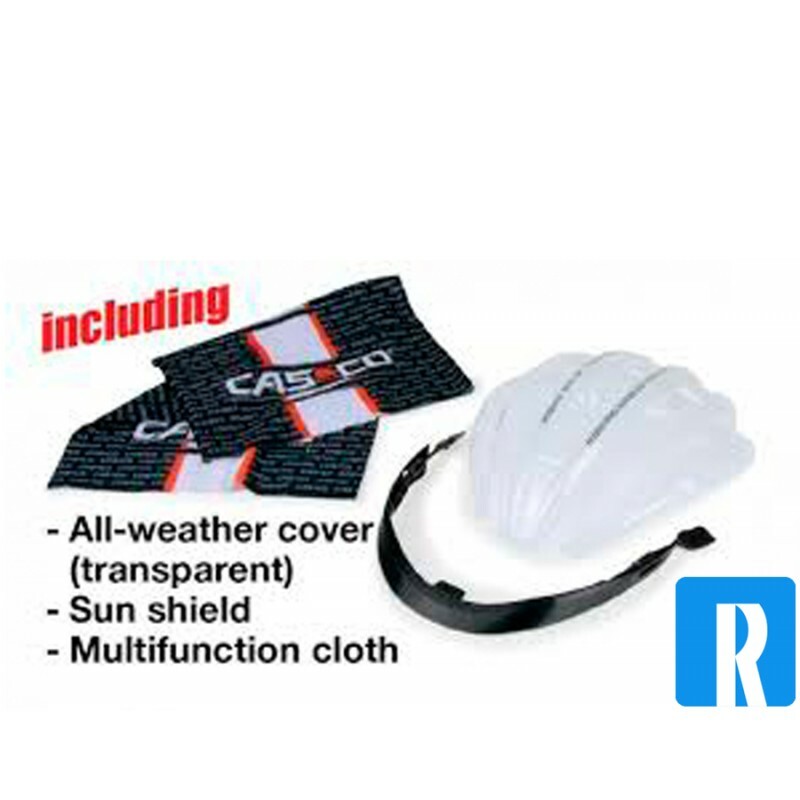 This makes the helmet extremely streamlined and very light. 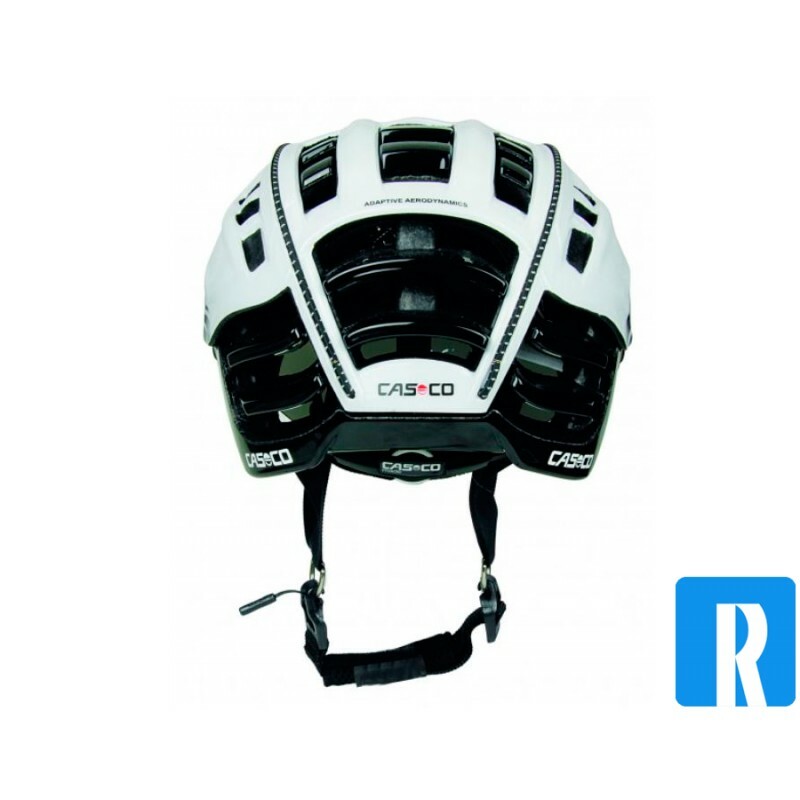 The drops on the back impact the aerodynamic drop effect and adapt to the athlete's air flow. The speedmask is optionally available and has a large field of vision and protected perfectly against the wind and the sun. 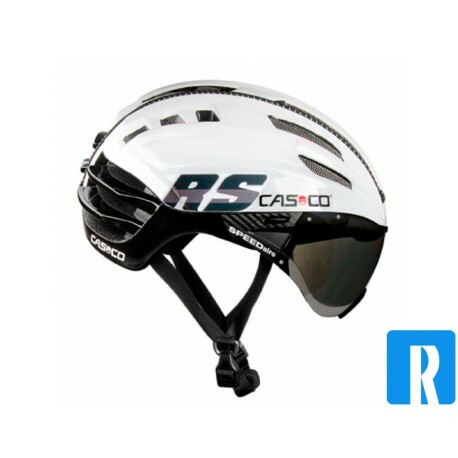 The Casco SPEEDster black bicycle helmet is an excellent combination between aerodynamics and ventilation. 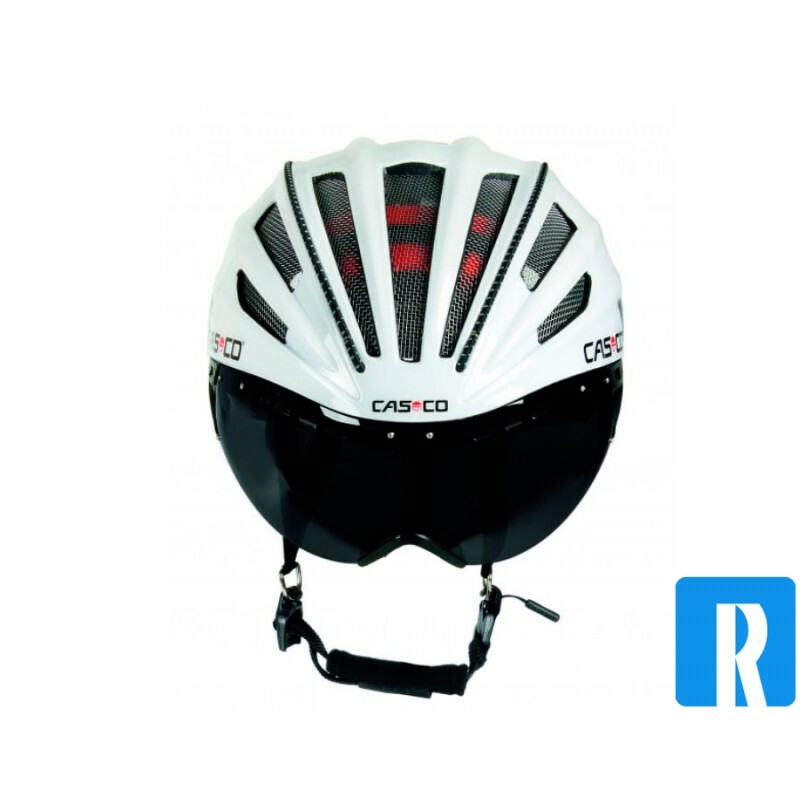 This helmet complies with the EN 1078 standard. This is a European safety standard for helmets for cyclists and users of skateboards and roller skates. 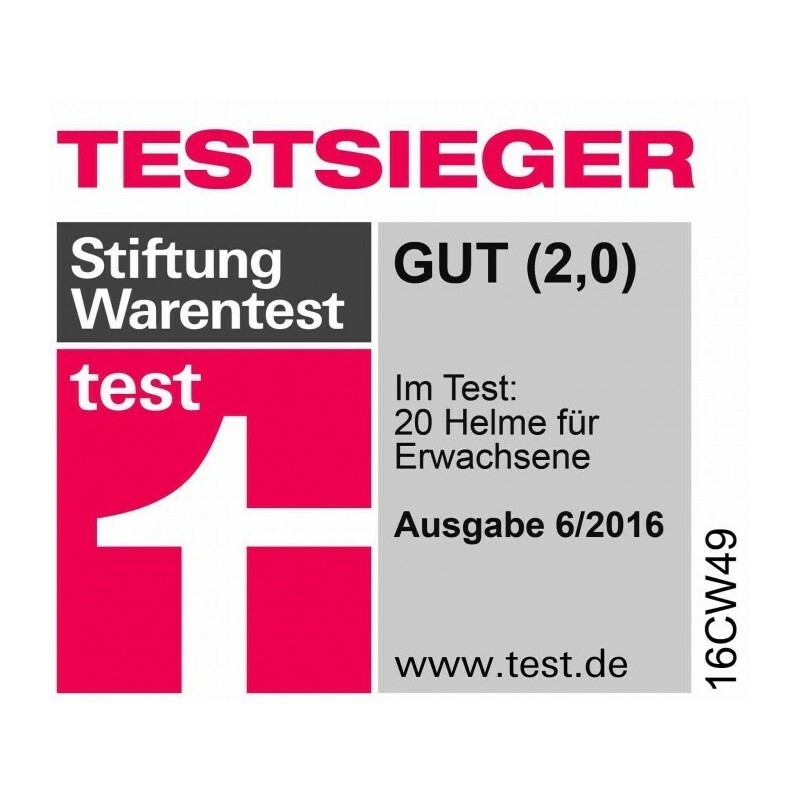 * tested by the renowned German inspection and certification agency Tüv.